Saltrock is the original British surf company. Saltrock produces a huge range of UK designed surf clothing, hardware and accessories for men, women and children. 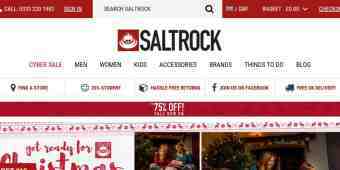 Saltrock is has a well established and highly successful retail business and is rapidly expanding is online presence. Verified two days ago. Valid until further notice. Saltrock discount code not required.